My motivation and inspiration doesn’t get much higher than on a ski trip to the Alps. 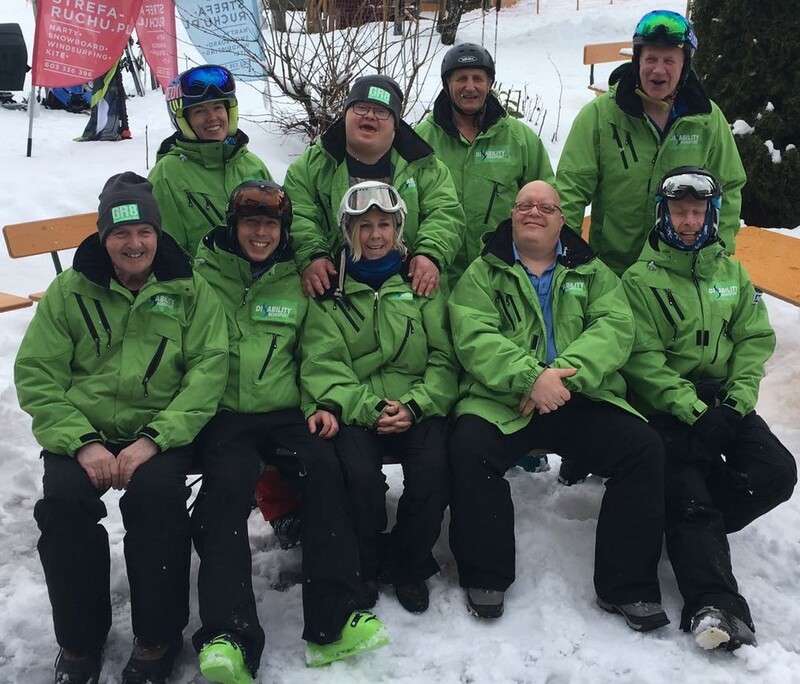 On behalf of Crystal Ski Holidays, I visited Niederau in Austria to take part in a Disability Snowsport UK (DSUK) holiday. Thanks to both Crystal and DSUK, I had a fantastic time and my enthusiasm for skiing went through the roof again. Skiing had been a passion of mine for the last 15 years. I learned to ski as an adult on Hillend dry ski slope, on the outskirts of Edinburgh. It took me a very long time to find my balance on skis, much longer than the average person I suspect. I fell over many times in the early days and, on the dry slope matting, I really hurt myself. However, it wasn’t enough to stop me. 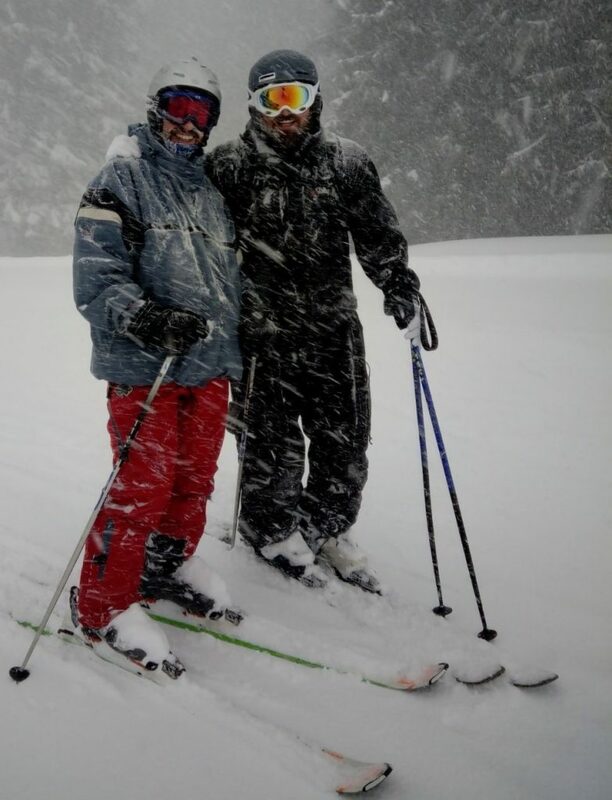 I was absolutely determined to be able to ski and be able to move myself around the mountains. After many lessons, and spending hours on Hillend with a close friend, I began to find my balance. Since that time I am fortunate enough to have made several trips to the French Alps. This trip however was to be my first time back on snow for a long time. It was also my first holiday on a trip organised by DSUK. I had a brilliant experience and, most of all, I had lots of fun. DSUK are an exemplary organisation when it comes to inclusion and they should be very proud of what they do. There is no disability that prevents anyone from taking part in Snow Sport. 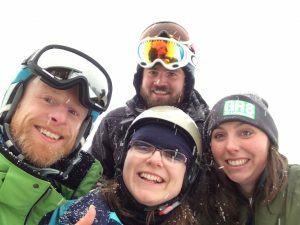 Whether a skier has full paralysis, or a learning disability, DSUK bring out the best skier in them. They have their own highly trained instructors as well as a large team of helpers on hand. 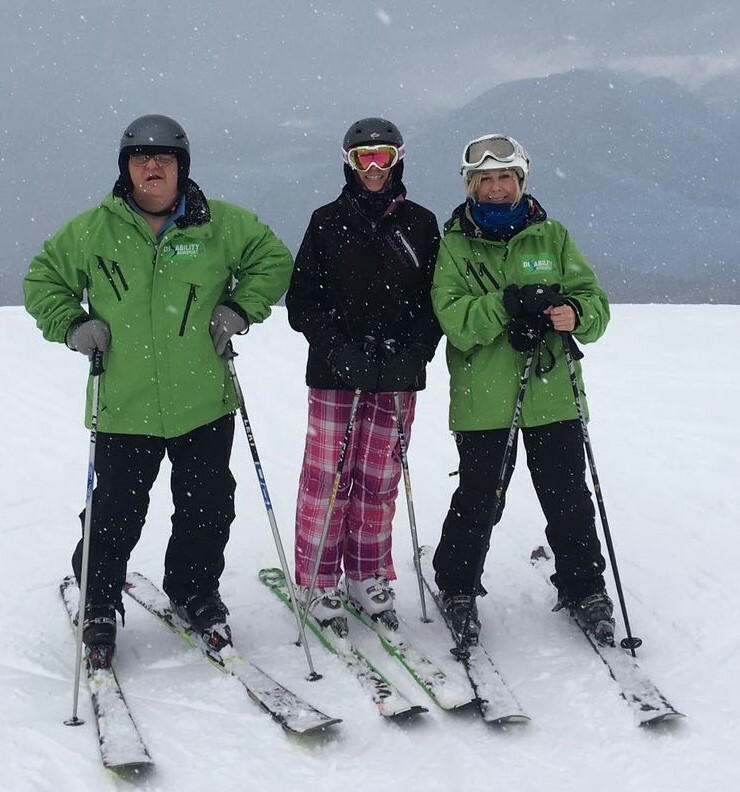 All their ski instructors have to undertake additional training in Adaptive Skiing. Using a range of equipment DSUK can support anyone skiing either sitting down or standing up. There are several disciplines that come under the name of Adaptive Skiing. A skier with poor mobility might use a bi-ski or at mono-ski where they can sit down to ski. Others, for example amputees, might use what’s called a three track, a single ski but with out riggers on their poles. A visually impaired person might use tethers on their skis. Learning disability is another category all together and DSUK and very skilled at bringing out the best in anyone. The groups that take part are totally inclusive. 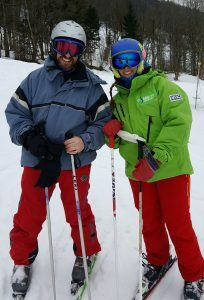 There is no distinction between disabled skier, instructor and helper. They are just a group of people going skiing and having fun together irrespective of anybodies ability or not. Personally, it was an absolute joy for me to be in that sort of community for seven days. It had been a very long time since I had been in a group situation where I felt so accepted and welcome. In everyday life there can be, for disabled people, pressure to present as able or as mainstream as possible. It felt special to be in such an inclusive group for a week. Most of, I just met some lovely people, had lots of fun and I am really thankful for that. 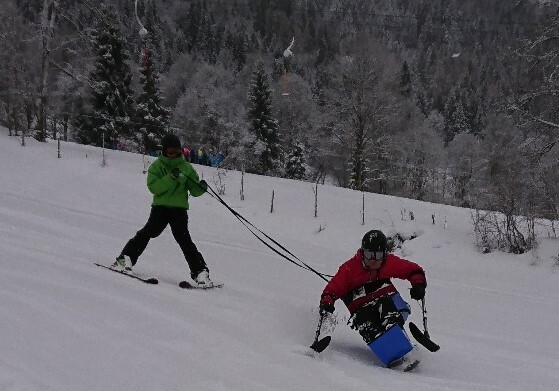 One of the great benefits of Adaptive Skiing is that it breaks down barriers of disabilities. When I get on my skis I suddenly feel equal to everyone else because I can ski as well as the next person, able-bodied or not. I am aware that other disabled people feel the same way when they ski which can, for many, be a real liberating experience. Taking part in a DSUK holiday has really given me the bug to ski again. I have to be honest and say I might not return to Niederau because I prefer a slightly larger skiing area. I would love to go on another DSUK holiday. I am very grateful to Crystal Holidays for the opportunity and I hope to travel with them again. I have plans to Ski in Scotland in February but I would love to make another trip back to the Alps before the end of the season.